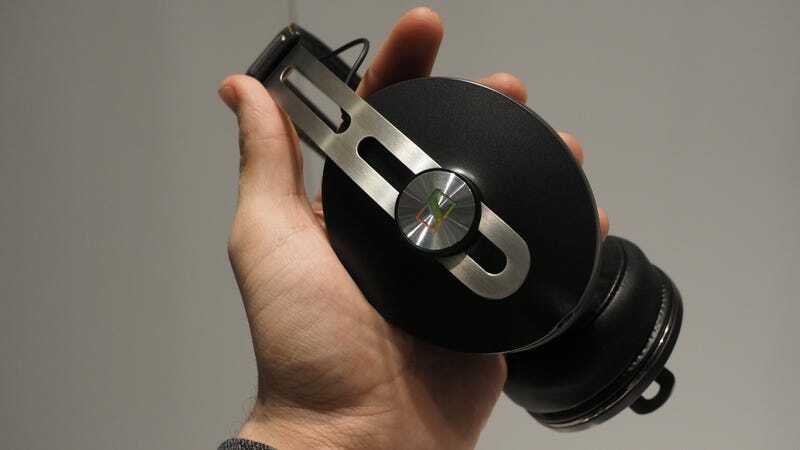 I've fallen in love with the Momentum headphones Sennheiser launched a few years ago. They're my gotos: The cans that sit on my desk everyday. Usually, I don't care that somebody made existing headphones wireless or that they managed to make them noise canceling. Bluetooth? Yawn. Noise canceling? Whatevs. But I'm posting the Momentum wireless as an exception because I'm legitimately excited that they exist. Like the old wired Momentums, the new ones come in both on-ear and over-ear versions. As mentioned above the headphones are Bluetooth so that you can play music wirelessly. They've got NFC so that you can tap and pair easily. Besides, their wireless connectivity, the headphones also have an active noise-cancelation.